I’ve seen him on the news. Followed the stories about what happened in Ohio. John Smith, out there, on the run. To the world, he’s a mystery. But to me . . . he’s one of us. Nine of us came here, but sometimes I wonder if time has changed us—if we all still believe in our mission. How can I know? There are six of us left. We’re hiding, blending in, avoiding contact with one another . . . but our Legacies are developing, and soon we’ll be equipped to fight. Is John Number Four, and is his appearance the sign I’ve been waiting for? And what about Number Five and Six? Could one of them be the raven-haired girl with the stormy eyes from my dreams? The girl with powers that are beyond anything I could ever imagine? The girl who may be strong enough to bring the six of us together? They caught Number One in Malaysia. And Number Three in Kenya. They tried to catch Number Four in Ohio—and failed. I am Number Seven. One of six still alive. And I’m ready to fight. Alacia’s Review: Marina is Number Seven. She lives in a convent and orphanage in Spain with her protector, Adelina. Marina has heard about John Smith from Ohio on the news and is certain he is one of the Legacies. She is ready to learn how to fight so she can go help John, but each time she approaches Adelina about it, she is told it is nonsense and not to worry, as she has come to believe the teachings of the convent and lost her faith in Lorien. A frustrated Marina starts to train on her own, developing her legacies such as breathing underwater and telekinesis. When a new orphan, Ella, arrives at the convent Marina and her quickly become close and Marina enlists her help in finding her Lorien chest which Adelina will not tell her where it is. As Marina continues to learn, she runs into a man in town that she is certain is a Mogadorien. She is dismissed again when she tells Adelina but things begin to change when the convent is indeed attacked by the Mogs. Adelina quickly snaps out of her stupor and begins to help Marina fight to save the convent and those inside. During the fight, the man from town appears and Marina is surprised to find out that he and Ella are not what they seem but are Lorien as well. As the fight against the Mogs continue, everyone is astonished when Six shows up and helps them get out of there. As they flee the convent, Six fills them in on John and Sam and it is determined that they must get to the United States as fast as they can in order to save themselves. This book was just as good as the first one! Again I could not put it down! The story jumps back and forth between John, Sam, Six, and what is going on with Marina and Ella in Spain. Marina’s story fits in perfectly and you get a real sense of her frustration as she is trying to learn with out any guidance from Adelina. The book moves at a fast pace and is super easy to read. 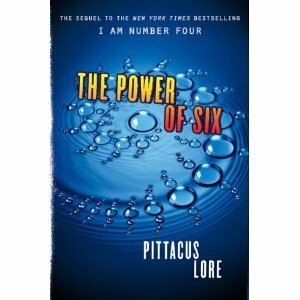 The story of the Lorien Legacies keeps getting more intricate and you learn more and more about why they are here and how important it is that they make it back to Lorien. About the Author: Piccatus Lore is the Ruling Elder of Lorien, the planet from which the characters from I Am Number Four hail. He has written two more books, about Numbers Six and Nine. He is here preparing Earth for the battle with the Mogadoriens. 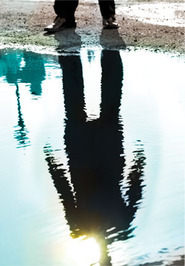 No one knows his current location.